Shoe demos are coming to Fishtown! 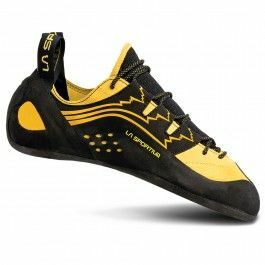 Find the perfect shoe for you: Chat with the rep to find and fit the right climbing shoe from our favorite brands. Shoes are available to try in a range of models and sizes, so stop by and make the most of your membership! 20% off all demo orders! Fine Print: Payment in full required for demo orders, minimum two weeks shipping time. Orders subject to availability. Questions? Give us a call at 877.822.7673 or send us an email! Shoe demo orders are final sale, subject to availability. Some exceptions may apply; see staff for details. Sadly, you cannot! We are a small operation, and do not have the capacity to handle online retail sales at this time. You can, however, by gift cards online here. We encourage you to take advantage of the brand representative’s expertise in selecting the right size, as we are unable to return/exchange demo shoes in models that we do not stock at PRG locations.